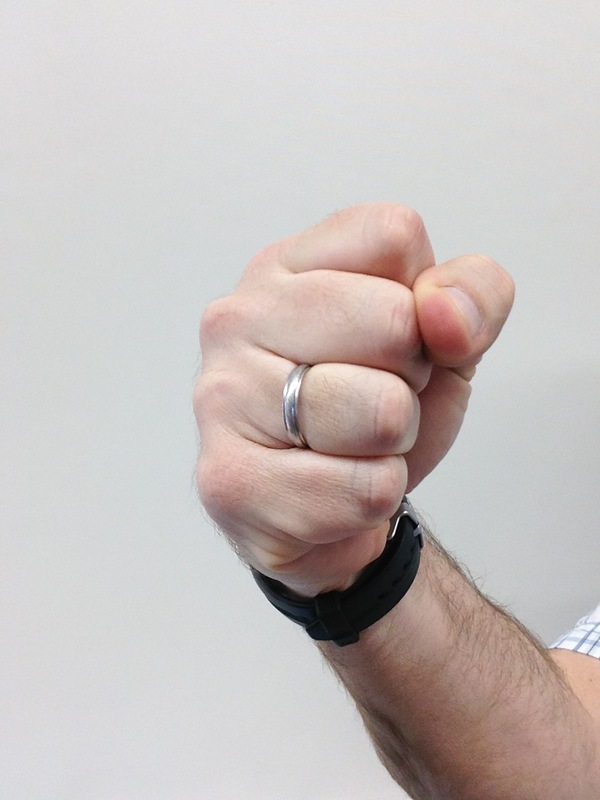 At one point in my coaching career a group of my players referred to me as “the fist”. The reason for this nickname was a team talk that I gave. It highlights the fact that in combat ten separated fingers can do minimal damage. However combine the fingers into a fist and you can do some real damage. Today I want to expand upon that idea but generalize it to life rather than athletics. As I think about the fist of life, I would equate it to an inner circle of people who play particular roles. Each role is distinct and important toward the inner balance of a person. The organization of an effective fist may take a good amount of time and introspection. However the positives to be drawn from the fist are immeasurable. The thumb – This is the person that is your counterbalance. They are strong in ways that you are weak. They may seem different and may not exactly fit in with the rest of your fist. However they are an anchor that allows you to grasp things and hold on. My wife is my thumb. She makes me better because of our differences. Without her I feel off balance. The thumb may be the most difficult for a young person to find because that person may be an non-obvious ally. The pointer finger – This is the person in your circle that is where you want to be in many areas. They act as a role model or mentor in some ways. Sometimes it is difficult to get a personal relationship with the people that you want to be. So modern technology is a great asset. Use podcasts, blogs, books, videos or whatever other means you can find to get into the mind of someone that you respect. Depending on your specific goals, this person may be intelligent, wealthy, athletic or inspiring. If you are relying on resources rather than live people, it may be worthwhile to diversify your pointer fingers. I’ve had many over the years for different reasons: Tim Ferriss, Gary Vaynerchuk, Tony Robbins, Napoleon Hill, Teddy Roosevelt and Jack Canfield. I try to avoid “hero worship”. As you get a deeper picture into a persons life, you realize that we all have flaws. So picking up the musical talent secrets of a figure like Kurt Cobain might be great. Following him in other ways is less productive. Take the good that fits within your model of the world and run with it. The middle finger – This is the person who believes in your abilities with such confidence that they are willing to say “F___ YOU!” to anyone that doubts you. I would prefer that this person be you but I realize that you might not be there yet. The key to the middle finger is that it is your strength. It stands above the rest in a prominent position. It doesn’t need to flip off the world all of the time, just when it’s warranted. Another reason why I’d like for your middle finger to be you is that it stands at the center of the fist. You should be at the center of your world and all fist movement should be directed by you. I wasn’t always my middle finger but I am now. The ring finger – This is your support person. This person is most like you in the world. There is little chance that in any situation they won’t understand your point of view. They are the person that you lean on in bad times. Perhaps you can sit and watch TV with them just because their presence is comforting. A good ring finger is worth its weight in gold because you don’t ever have to try. My ring finger is my brother, Dave. I never have to consider for a moment where we stand. The pinkie – This is your comic relief. The person who can always make you laugh. Regardless of the situation, they are able to give you a chuckle when you most need it. Often this person is a stark contrast to the rest of your fist. No matter how different they may be, they are extremely important to the fist and your balance. I’m extremely lucky because I met my pinkie in college. My friend, Schaef, is the guy that I call when I need to laugh. Even at myself. We repeat the same jokes and it doesn’t matter. Even though I’ve got my fist set at the moment, it is able to change and should at times. For example, I am looking very deeply into finding a live “pointer finger”. I think that interaction would be great for me to go to the next level. So go find your fist or at least identify them and realize their importance. Really interesting way of looking at this! I’m definitely going to use this 🙂 thanks!